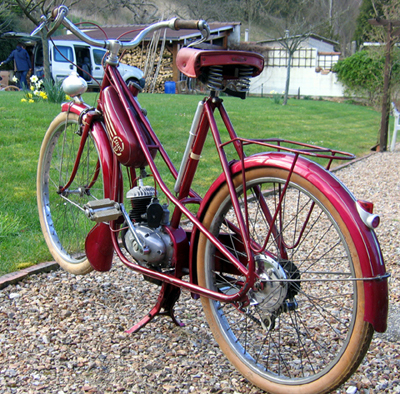 A New-Old-Stock bicycle, one of 12 Selection bicycles found in a Paris garage in 2006. 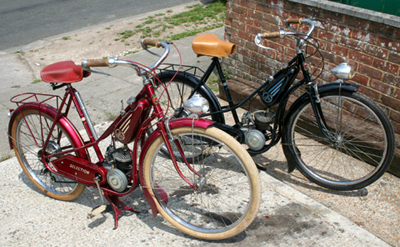 The chrome has deteriorated over the years: the handlebars and rear wheel could do with re-plating. The grips are also damaged. 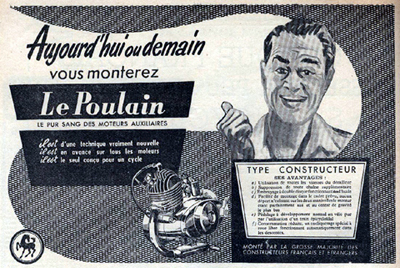 But the paintwork and other components are still in good condition. 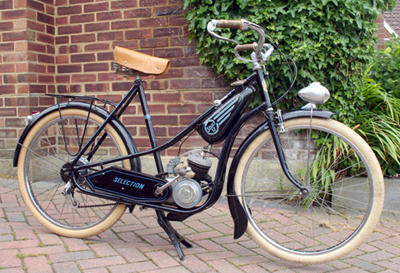 The buyer of this rare machine will be the first to ride it! 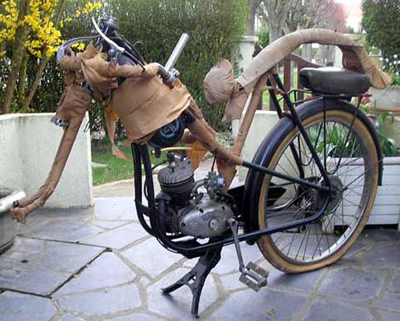 You can see that these very early ‘mopeds’ were not far removed from bicycle design. 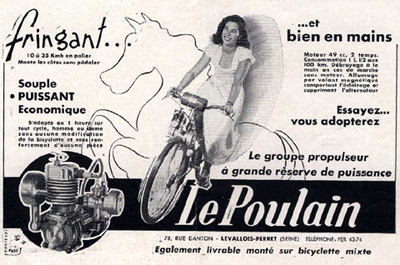 Selection was a well-respected small upmarket cycle manufacturer/ distributor; and Le Poulain made a variety of cycle-attachment engines to fit to bicycles.